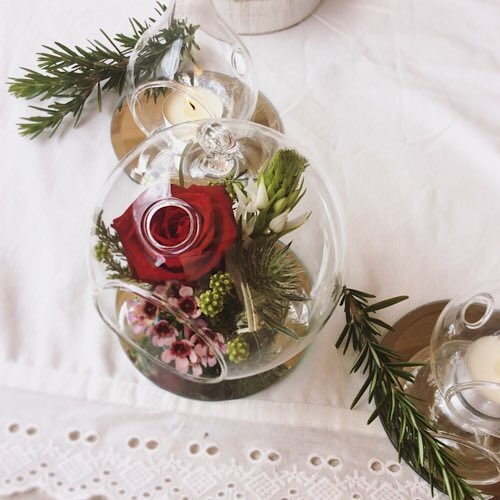 These Christmas Table Decorations are lovely and ideal for putting down the centre of your table to help create festive charm. 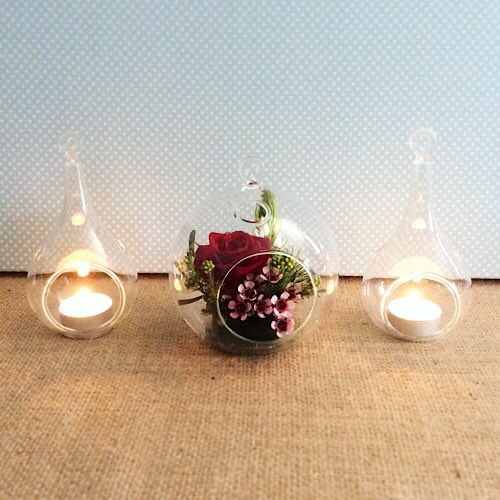 This package includes one glass bauble with fresh flowers arranged inside and two glass baubles with the tea-lights in them. For your festive season safety please make sure you never leave a candle unattended! If you would like a particular flower colour theme please let us know in the note section of the check out otherwise we will go with traditional Christmas colours.